room and a spacious lounge. 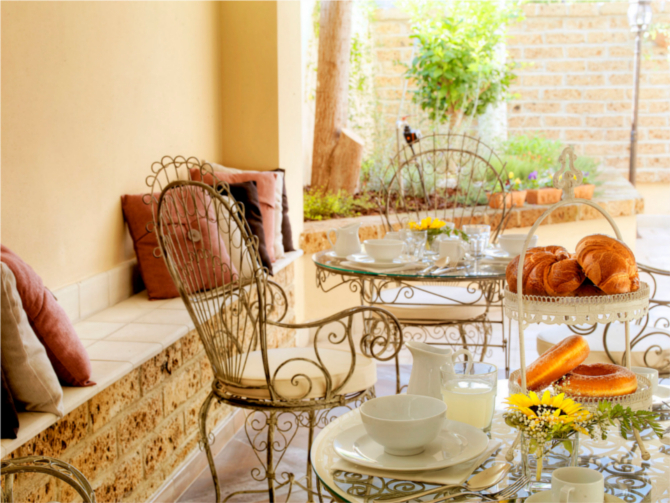 The villa is surrounded by areas of green regularly looked after by the diligent staff. The close proximity of the “strada parco”, a walkway and cycle track closed to traffic, is a guarantee of absolute tranquillity and provides direct access to the centre of Montesilvano and neighbouring Pescara. There are three rooms on the first floor, each with a surface area of about twenty square metres and its own entrance. The floor can accommodate up to eight to ten people and boasts a modern rustic style kitchen which can be used by guests on request. 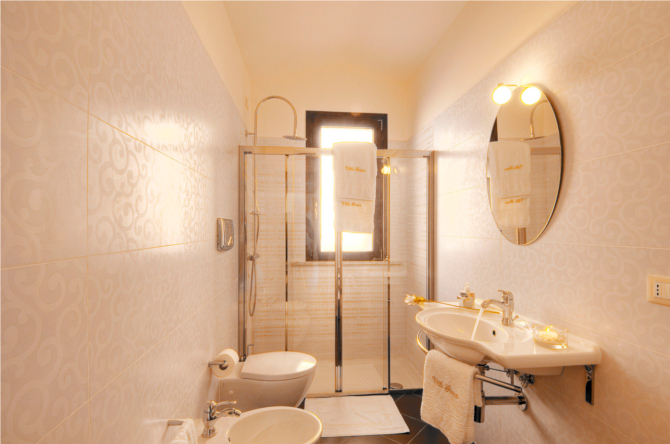 All the rooms have en-suite bathrooms with a shower, towels and bathrobes to guarantee maximum comfort, air conditioning (in the summer), central heating, a digital television with a plasma screen and a WiFi Internet connection. 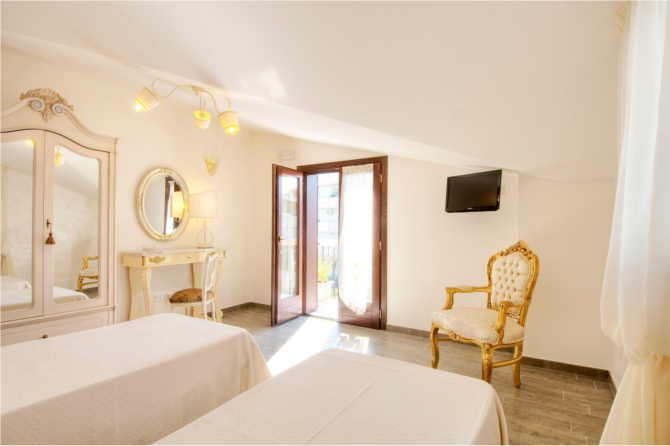 The rooms are elegantly furnished with liberty style furniture and objects, a perfect mix of Italian and Australian culture. They are characterized by their multicoloured walls and refined finishing: beds with wrought iron headboards, designer bedside tables and armchairs and paintings in elegantly engraved frames. The large windows which look over the “strada parco” ensure absolute tranquillity at all times of the day and guarantee the most relaxing of stays. 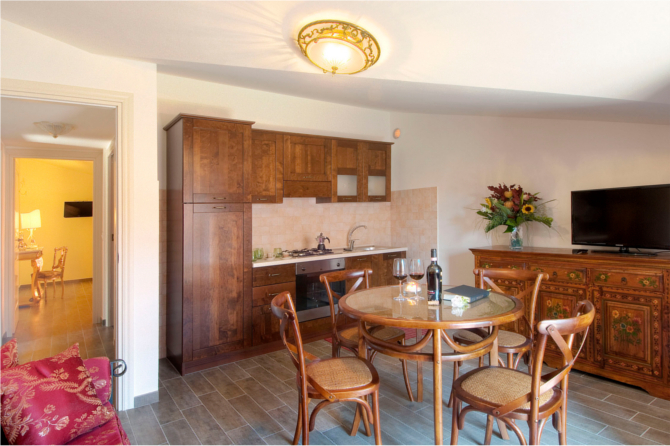 The second floor of Villa Grace Tombolato is an elegant spacious loft, consisting of a kitchen and three bedrooms, each with its own furnishings, size, position and combination of warm and sparkling colours. 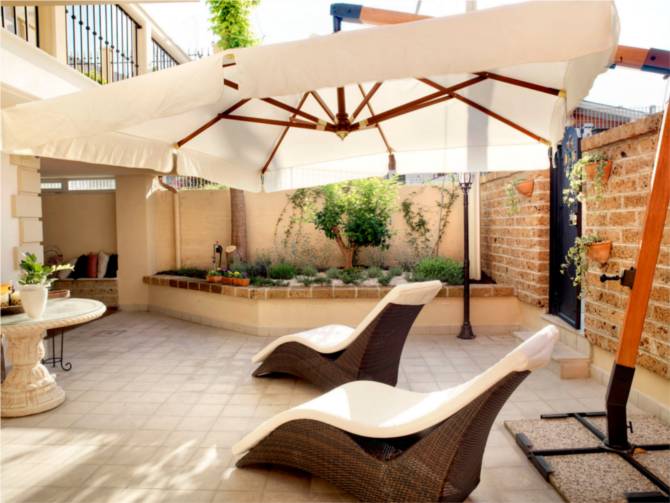 All the rooms have their own personal access and can be adapted to the various requests of the guests. 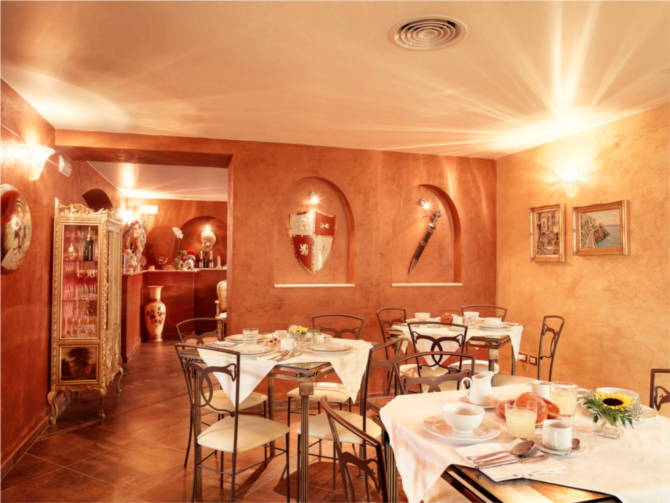 The elegant and refined interiors perfectly represent the style of Grace Tombolato: a mixture of Australia and the West, a story of travels and emotions reflected in the decoration of the rooms. 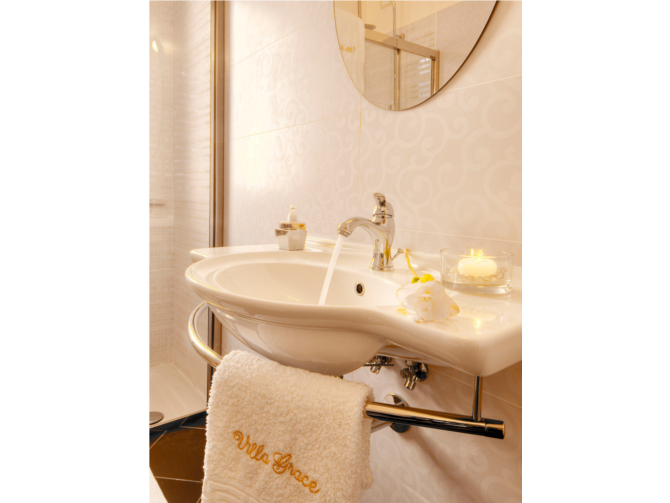 The villa is a perfect combination of classic and modern, which is also reflected in the refined bathrooms, all equipped with “rain effect” showers, heated towel rails and hairdryers. 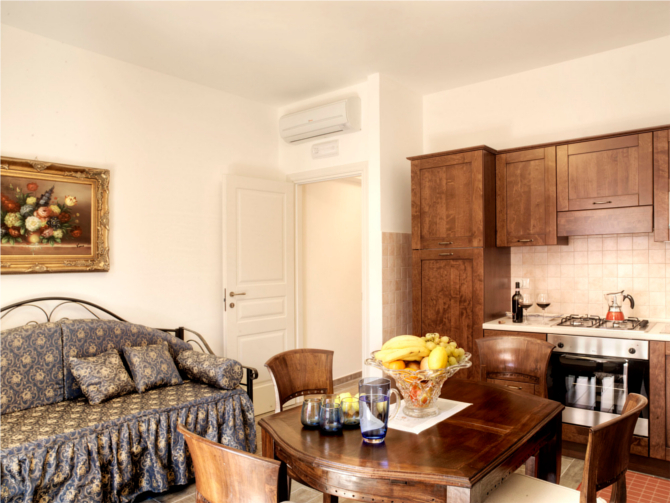 For a small extra cost guests can also use a washing machine during their stay. 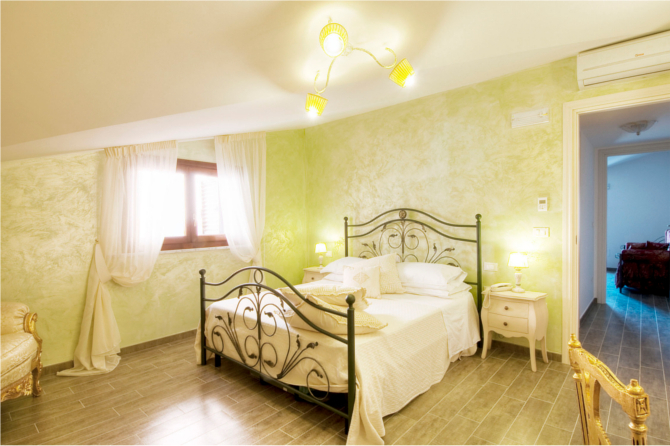 Villa Grace Tombolato is the ideal place for a relaxing holiday which gives you the opportunity to enjoy the many splendours of Abruzzo: the crystal clear sea, the enchanting mountains, the fascinating culture and the delicious cuisine.